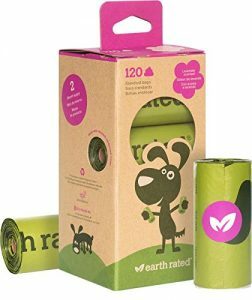 Earth Rated Poop Bags are the industry leader in quality. Packaging is made from recycled content! Now pet owners can clean up after their pets and protect the earth at the same time. Easy to open and detach from the roll: Never tear another bag!